Agamographs provide a fun unique way of viewing art. My students are fascinated and get so excited with this art idea. 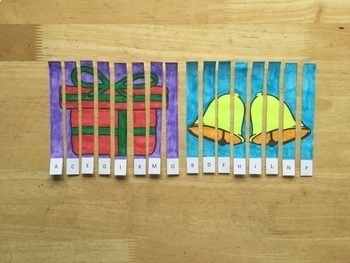 This resource is a fun hands-on Christmas activity that combines two separate images into one are piece, which the viewer can then see – from different angles - each picture independently. This activity involves coloring-in, cutting, gluing and folding. You will require; coloring-in materials (pencils, felts, etc), scissors, glue-sticks. 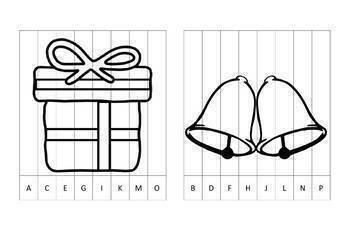 This resource has five Christmas images (present, bells, candy cane, reindeer and wreath) to put together and create the agamograph. This resource has all the combination pairs (10). I have also included blank templates for students to create their own two images to combine. 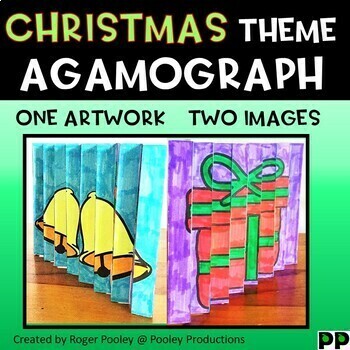 This resource also has a short stop motion video (the video preview) demonstrating the construction of the agamograph. Note: my making TpT videos is still in its infancy and while the quality is not blockbuster material, it does show how the art is made.